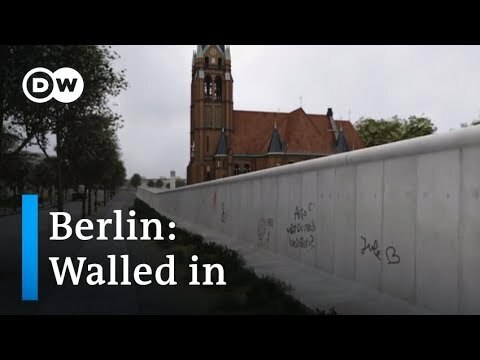 “Walled In!” is a 10-minute computer-animated documentary, in which the Berlin Wall and the East German-West German border (Inner-German border) have been reconstructed in incredible detail. It was produced by Deutsche Welle – Germany’s international broadcaster. SM-70 Antipersonnel Mines – a spring gun that fires lethal shots at defectors trying to climb the wall on the West German side of the Inner-German border. Also fascinating were the measures taken to reduce the likelihood of the East German border guards defecting themselves. I’m sure it came as no surprise to many that the Democratic candidate Barack Obama, defeated his Republican opponent, John McCain in the US general elections last week. It appears that McCain’s faux pas was having Sarah Palin as his running mate. In my opinion, the Republican’s decision to have a female vice president was a gimmick needed to counter the Democrat’s choice of a black president, i.e. promoting the emancipation of black people vs promoting the emancipation of women. Unfortunately, the Republicans did not appear to choose a suitably qualified person and Palin quickly became an object of ridicule in the media. Considering the current financial crisis and ongoing international conflicts, the incumbent party would have needed to make a superhuman effort to retain power – that made things easier for the Democrats. I do hope that Barack Obama will prove to be a good leader and not just the outcome of an ‘affirmative action’ mindset. My concerns at the moment are that the new Government will go soft on fighting religious fundamentalism and preventing the nuclear arming of fanatical regimes like Iran. Russia and China may continue to gain power and influence, unhindered by US intervention. I found these satirical US election propaganda videos earlier today. The first, I’m Voting Republication, was released by Democrat supporters a while ago. The latest video, I’m Voting Democrat, was released in response by Republican supporters a few days ago. For those of us outside the USA, we can poke fun at both sides.